Note: In some cases it is necessary to add spacers to the adapter. Please click here for the Sidekick/Lens Reference Chart. Shallow channels extending from the sides of the Sidekick's clamp stop just short of the center to allow great fore-aft adjustment when using the safety stops on Wimberley's (and others) quick release plates. Box Dimensions (LxWxH) 11.5 x 7.3 x 3.4"
Arca Sidekick Ball to Gimbal Head Adapter is rated 4.8 out of 5 by 141. Rated 5 out of 5 by Sasquatch Shooter from Better than a gimbal I had used a friend's Wimberly gimbal head adapter a while back and liked it so much I had to buy my own. I use the wimberly with my 5D, 100-400 w/2x adapter on a Markins ballhead. I use this setup to shoot wildlife and sports. I love the flexibility of being able to use just the ballhead or switch over to gimble without having to carry both. My setup is actually lighter than most dedicated gimbals. One thing to be aware of in any gimbal setup is that camera needs to be mounted at the center of gravity, therefore if you are using a zoom, you need to lock it at a fixed focal length. I am happy with the wimberly and would recommend it to anyone looking for flexibility. Rated 5 out of 5 by Robert C from A Thing of Beauty The Wimberley Sidekick is the centerpiece of my support system for the 7.2 lb. Nikon 200-400 VR lens. It works great and it is a thing of beauty! I pondered whether to buy the heavier Wimberley Type II Gimbal head, but after a great deal of research, I settled on the Sidekick. It was the right decision. It provides great support for this lens and works flawlessly. I also bought a Gitzo 3531 tripod and a Really Right Stuff BH-55 ballhead specifically for use with the 200-400. Along with the Sidekick and a Kirk adapter plate, this is an outstanding system which is a perfect compliment to the lens. I couldn't be happier! Rated 5 out of 5 by Anonymous from Sidekick to a RRS BH55 I use this product to support my 80-400 and 70-200mm lenses for wildlife and birding. It's an excellent platform for bird tracking (BIF) and wildlife on the move! It's quick to mount, load and use with a little practice, and please, get the plate as this will make your connection much more secure! I've rented 500-600lenses, and while I use a very strong tripod Gitzo 5542LR, this also works flawlessly. Just an outstanding product that I wish, as many say, I purchased it early. This is a must have for those with longer lenses looking for stable tracking, and a balanced way to handle you kit! Rated 5 out of 5 by Lewis D. from Excellent Product! I'm using the Sidekick on a MeFOTO Roadtrip ball head to give me the ability to move fluidly to photograph birds with the Nikon 200-500 lens. The lens balances well and stays where I position it using the Sidekick. I did have to purchase a different mounting plate to allow it to balance correctly with this set up. I bought the Wimberley P30 that is longer than the MeFOTO PMU250 that I first had on the lens. The sidekick is simple to remove and use a smaller lens with the ballhead. A great well made product with good directions ! Rated 5 out of 5 by Martin from Versatile gimbal If you want to travel light or you already have a good ballhead and don't want to spend too much on a full gimbal, this is the product to use. I use this with as heavy as a Canon 400 f/2.8 (version I, 12 lbs) and have absolutely no problem. With AP-902 or AP-602 the movement is silky smooth. The only downside is this adds just a tad more vibrations (this is with a Gitzo GT3541 and Markins M20). In addition if you are going to use flash, the full gimbal (WH200) will be a better choice as you can balance the weight of the flash better. The Sidekick will work too, but you have to employ more tension to stop the lens from flopping due to the unbalance flash on top. Rated 5 out of 5 by Anonymous from Super Sidekick Love it! Using Nikon 300mm prime lens with my Nikon D200 the Sidekick stays where I put it. I don't have to figure out if my shot will change if the lens readjusts because of the weight. I've even tried using a teleconverter with it and still steady. I use a Markins M20 ball head and a Gitzo tripod for stability. With this glass I would not use anything smaller with the Sidekick. This is light weight enough so that I can haul it around and travel with it with out any problems. I just did not need the extra weight of a Wimberly II and I like the option of using the ball head without the Sidekick and smaller lenses. The only con is that I don't leave the 300mm and camera attached to the Sidekick and carry it around assembled for any distance. My husband has a Wimberly II and a Nikon 500mm prime and he can carry the lens and camera attached to his Wimberly without any problems. Rated 4 out of 5 by E Martin Photo from Extremely well made I got this on loaner from Wimberley a while back to test on my 300mm f/2.8 IS and 1D Mark II setup. While the mount held the weight well, and the whole thing was very solid and smooth, the side mounting was a royal pain. I had the hold the entire camera setup with my right hand while tightening the mount down with the left. Balancing the lens was tricky as well as the plate didn't slide well in the mount. I ended up going for the full Wimberley and use it often with my 300 and 500 lenses. I can say that it does pack up very well, is very light and portable, and functions extremely well (aside from the design issue with the side mounting). If you are okay with the side mount, then this is definitely an excellent product. Hi. Will the Wimberley SK-100 work with the Mefoto Roadtrip tripod (aluminum A1350Q1R), Nikon D750 and Tamron 150-600mm G2 equipment? Thanks! How do you change from horizontal to vertical shooting with the sidekick? Loosen the lens collar and rotate the camera to a vertical position. Hello. Will the SK-100 work well with the Three Legged Thing Billy? I plan to use it with a Nikon D750 &amp; Tamron 150-600mm G2. It is hard to say exactly since it would depend on the ball head. But I trust the B&amp;H staff. Can be used for the Nikon 200-500 and a Kirk BH-3 ball head ? For the most part, yes, it would work for your usage needs. However, you did not list which camera and/or which tripod you would be using with your setup. Choosing the Nikon D5 DSLR camera (as it is the largest and heaviest option they currently have available), the combined weight of the Nikon D5 DSLR camera, the Nikon AF-S NIKKOR 200-500mm f/5.6E ED VR Lens, and the Wimberley Arca Sidekick Ball to Gimbal Head Adapter is 9.48 lbs (4.3 kg). The maximum load capacity of the Kirk BH-3 Ball Head is 15 lbs (6.8 kg). As such, as long as the tripod you are using has a maximum load capacity of 12 lbs or higher (the combined weight of the aforementioned items, including the weight of the Kirk BH-3 Ball Head), then it would work for your planned usage needs. While I recommend a stronger tripod with a higher maximum load capacity, if possible and in your budget, if you are not using the Nikon D5 and you instead own a lighter camera, it may be possible to get away with using a lighter tripod for your usage needs. 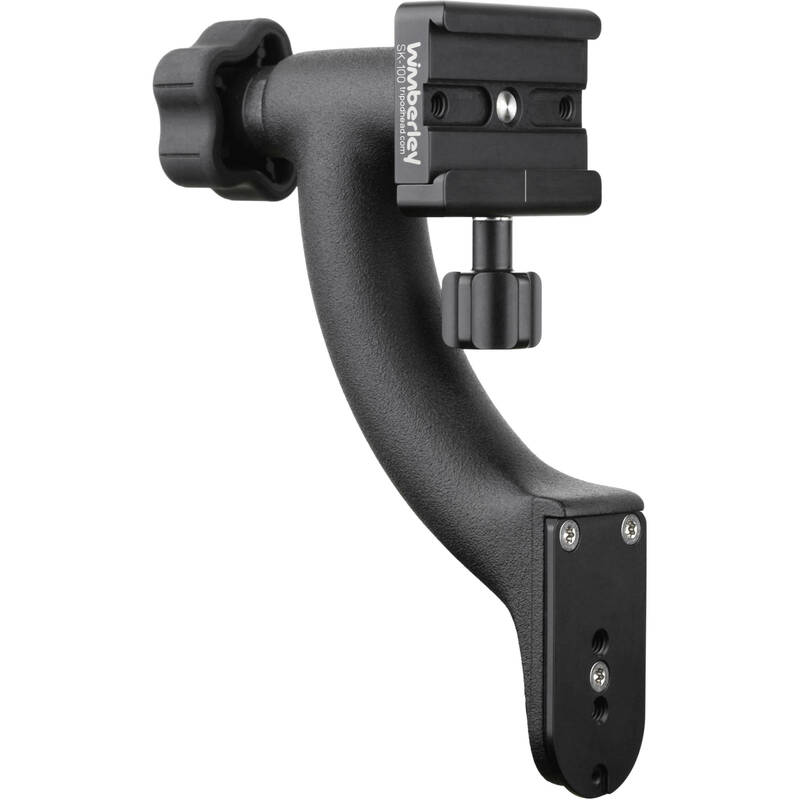 can i use the gitzo ball head with the wimberly side kick? That's just what I've done with the Sirui ET 2004. It's ball head works just fine with the Side-Kick and is strong and stable enough to hold my Canon 80D with 100-400mm zoom and 1.4x multiplier. A ball head too unstable otherwise, in my opinion. Does the sidekick provide the same performance features of the full gimbal, specifically does it balance the load so you can let go without it changing position? All you have to do is snug it up if that is your goal. I like that it is so easy to use, and it captures what I want it to capture without any problems. Sure like mine. Can it be used with a monopod? on a monopod, rather than attaching the Sidekick to a ballhead, I lock it down on a 90degree double clamp with the Sidekick slotted into the vertical clamp. this is much more rigid than a ballhead. provides controlled tilt and the flexibility of panning by turning the monopod.